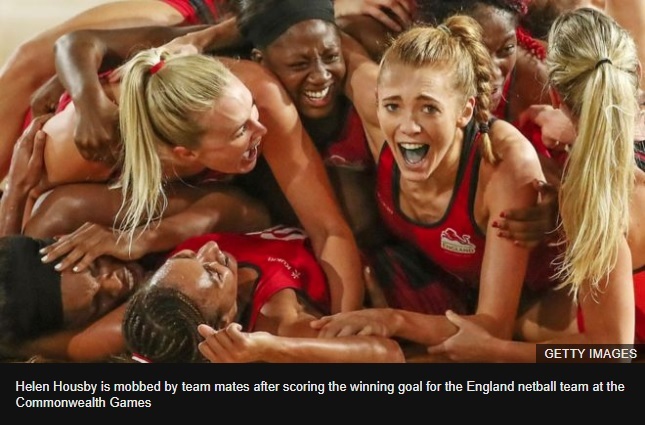 The coach of the England netball team has told Radio 1 Newsbeat how one of her star players reacted to winning gold at the Commonwealth Games. 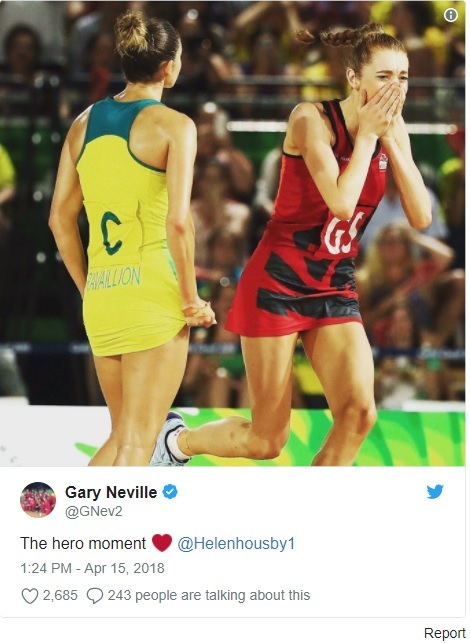 Tracey Neville's team won gold for the first time after a last-second goal by Helen Housby. Tracey says the shooter told her David Beckham commenting on her Instagram was "actually better than winning gold". England beat the overwhelming favourites, Australia, 52-51. 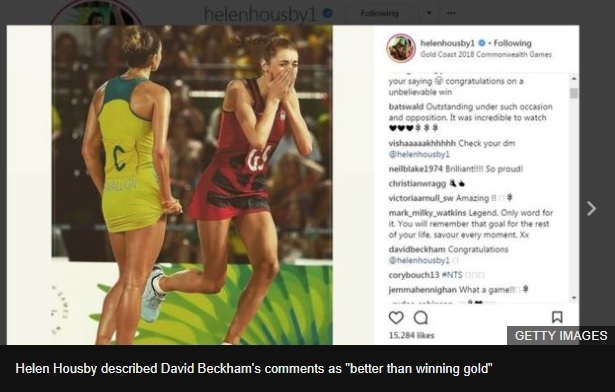 If you look down the comments on Helen's feed, you can see David Beckham's "congratulations". Manchester United legend Gary Neville, Tracey's brother, got involved too. 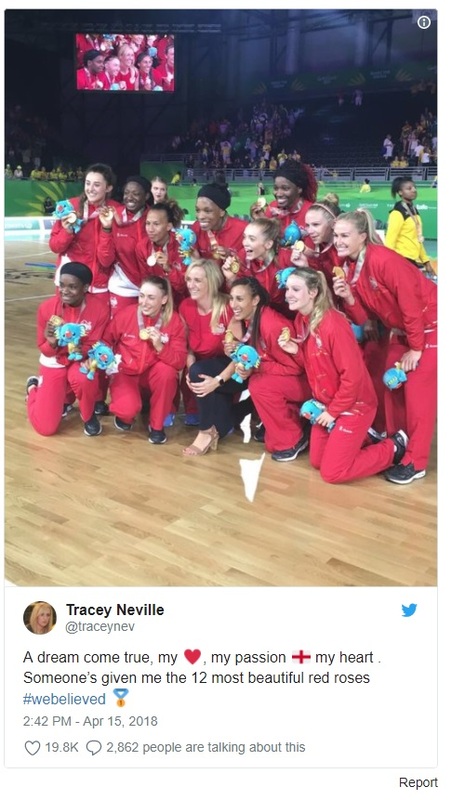 Speaking to Newsbeat, Tracey Neville explains why it was such a big deal. "Her favourite team is Manchester United. When she was at Manchester Thunder, she always used to go and steal tickets off my family to go and watch the game," says Tracey. "So when she got messages off David Beckham and Gary Neville, obviously my brother, she was absolutely made up." Speaking about her own reaction to the win, Tracey says she feels like she's "living in a bubble". "It still feels extremely surreal, I just can't help but think 'yes, we did it!'"